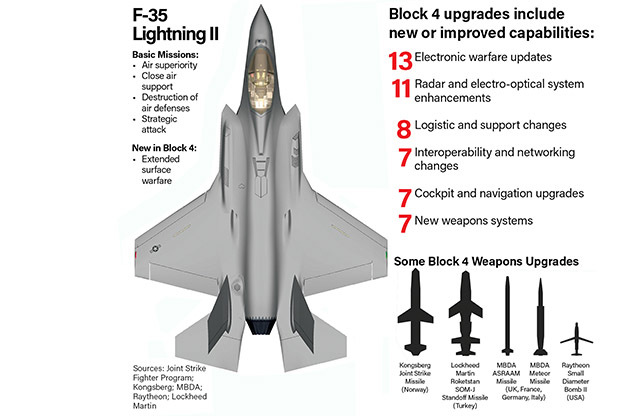 And nobody is disputing that the F-35 might have issues. However some, I won't say who, think the best thing Europe in general could do is follow Germany's lead and buy Typhoons instead of F-35s. (That the Hornet is the mix is a fig leaf for German politicians, nothing more.) So no, Typhoon availability rates, as they compare to the F-35, aren't exactly irrelevant. Try as ever I can, I cannot discern the words Random Anti-Typhoon Biatch Session in the topic title. Plainly my reading skills are up the spout today. Further to my random snippet about the RAF ditching 'II' from the aircraft's title, its been pointed out by those who more about RAF serial numbers than I do that the MOD have allocated serials to 'mirror' the English Electric Lightning F.1 allocations, but starting at ZM135 to omit the unfortunate XM134 which crashed after only a few years in service. Who said nostalgia is dead eh? 2019 flight demo practice session. For not having TVC the controllability shown there at 8:25 is pretty amazing. Impressive high alpha pass leading up to it, too. Parting thought... The pic above shows the JSM, SOM-J, SDB2, ASRRAM, and Meteor as 5 of the new Block 4 weapons. Thought on the other two? The article mentions JSOW C1 as another Block 4 weapon. It also mentions LRASM, but that may be a current capability, not new in Block 4. JSOW C1 is listed in the annual DOT&E report as a Block 3F weapon.. Odd. Well, the article is pretty badly written so it might not mean to say that JSOW C1 is in Block 4. JSOW-ER and SPEAR 3 would be my guesses for the 2 missing weapons. And watch that second video around 0:42 and 1:48. Effectors flippety-flappin every which way. However, the display doesn't tell us more about the EM aspects than we already knew. As for C2D2 and the AFM article. All power to them if they can accomplish all that in the next ~5 years. Particularly swapping out computers and displays at the squadron level. IMOHO, this part of the demo (2nd viedo) targets 4th gen fighter display at airshow replicating their moves. High g corner turns (slammed it b/w), "high"* alpha barrel roll (canards does it better if the speed is kept high - see especially the J-20 (I know this one is not strictly a 4th gen - so don't throw me your bugged Huawei ). And notice (@ 0:40) the brief high G pull-up weapon bays open to show that there are no limitations in flight domain in that config.